Many skin lesions are benign (non-cancerous), and are removed for cosmetic concerns. Cancerous or pre-cancerous skin lesions, however, are required to be removed for health reasons. Delaying treatment for skin cancers can allow spreading of the cancer cells to other parts of the body. Almost all skin cancers are related to age and exposure to the harmful rays of the sun. 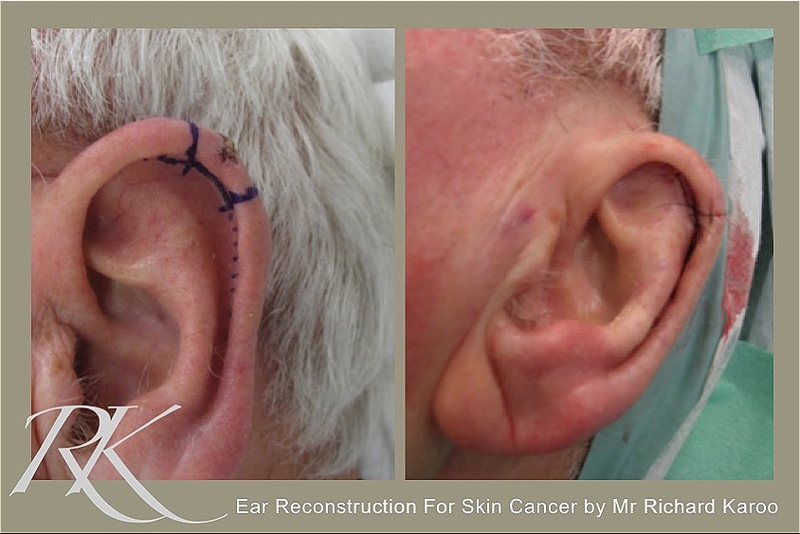 Surgical treatment of skin cancers on the face and body can potentially result in disfiguring and unsightly scars. They are best treated by a plastic surgeon, who can utilize specialized techniques (grafts and flaps) to ensure complete removal of the cancer, whilst minimizing the degree of scarring, and to promote healing. To have your skin lesion assessed and treated by Mr Karoo, please contact us to arrange a review.